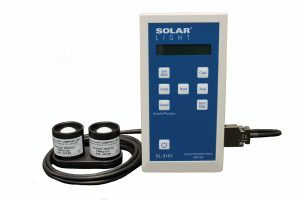 Solar Light offers a wide selection of specialty meters for Industrial Light Measurement applications. 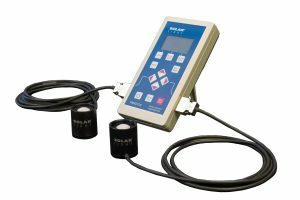 Leveraging our field-proven photometer and radiometer baseline designs, these Specialty Meters allow users to take ultra-accurate readings quickly and reliably, increasing productivity and throughput in every project! 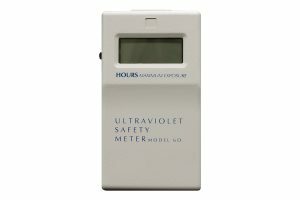 Solar Light’s Model SL-3201 Tanning Bed Meter displays the intensity of SUV – Sunburning UV in Minimal Erythemal Doses per Hour (MED/Hr,) the accepted clinical measure for sunburn potential. 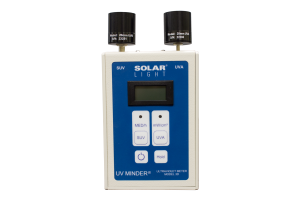 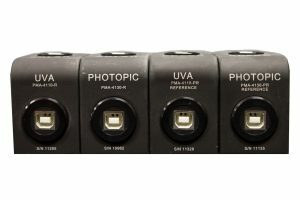 A UVC sensor measures light intensity in the 275-285 nm range, and displays UVC irradiance in mW/cm2.